Our services are provided to contribute to our clients’ peaceful living at home. AT-HOME CARE SERVICES provides its services to older adults, new mothers, those who are recovering from an illness or surgery, and handicapped and disabled individuals. We also provide respite care for caregivers and offer live-in, hourly, and overnight services. Please call 860-232-6126 for questions about our services. 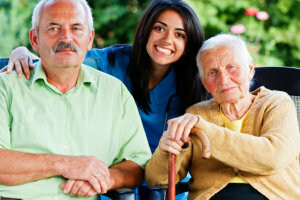 You can also set an appointment with us to discuss your loved ones’ care needs for personal care and Homemaker Services in Connecticut.